Whether you’re a business owner blessed with an in-house marketing wizard, or a DIY-er determined to navigate the sea of SEO all by yourself, it’s important to stay in the know of what’s bouncing around the industry these days. With all things SEO, it’s easy to get overwhelmed — and this goes both for savvy pros and wary newbies. Good news is, if you scale the efforts right, chances of ending up with lots-of-struggle-for-little-return are quite low. Bear with me, and you’ll see that no resource or budget constraints can keep you from making use of SEO. With small- and medium-sized businesses in mind, here comes a snapshot of SEO aspects well worth considering in 2019 and beyond. For good reason, your website is best positioned to thrive in the top of search results when optimized above board. Broken links, duplicate content, incorrect href lang tags and such may be harmless to your site’s serving looks, yet absolutely devastating to your traffic. Ranking struggles are discussed a whole lot, but all of the smart hacks on getting to the top are useless if your website can’t be crawled properly due to poor optimization. On a positive note, there’s some great SEO software out there to handle the heavy lifting for you and scan your website for optimization issues. Take a look at your site through the lens of an SEO spider like WebSite Auditor’s, crawling pages as a search engine of your choice, following robots.txt instructions for any bot. SEO software gives you a roadmap of the areas in need of revamping. Enhance your sitemap navigation, straighten out metadata issues, patch broken links, tune up redirects, implement schema markup, and pick up on voice search to help your local customers find you faster —essentials for you to consider first. Knowing exactly what to focus on lets you take care of your resources and current priorities. Remember: technical SEO can go a long way. Thoughtfully planned and consistently executed, its effects can be seen way beyond your website’s inner workings. Mobile ruled 2018, full stop. You’ll also see it win the spotlight across the aspects outlined below, starting with the indexing game. After Google made its mobile-first indexing announcement, putting mobile first became the motto to live by. Technicalities aside, as search is going mobile, so is Google in its indexing choices. It’s the mobile version of a given page that will be prioritized for ranking, since over half the pages on the Web are now indexed by rule of mobile-first. What if you don’t have a mobile version of your pages? You’re still in the game, since your pages can still be seen on desktop and mobile alike for now. That said, you’re much better off switching to responsive Web design (RWD). In addition to RWD being simply the absolute best solution in the age of too many devices to adapt for, it helps Google index your pages faster while saving you tons of time you’d spend maintaining multiple versions of each page. Play it safe and drop intrusive interstitials and unplayable video content. Play it safer and check your robots.txt file to make sure your pages aren’t restricted from indexing. While mobile-first doesn’t stand for mobile-only, see whether the new indexing rules have been applied to your site. If not, it’s only a matter of time before they are, so going responsive does seem like the way to go. You’ve heard all about it. But have you acted on it? If so, chances are that you’ve outfoxed your competition in no (loading) time at all. 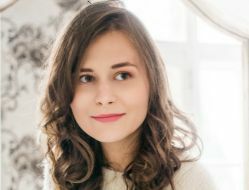 Aleksandra Pautaran is Marketing Specialist at SEO PowerSuite, a product that combines keyword research, site auditing, backlink research, and link building tools. She also writes for SEO PowerSuite’s Blog, a popular hub for the latest SEO news, guides, amazing offers, and all kinds of Digital Marketing goodness. The post Your Go-To Small Business SEO Guide for 2019 appeared first on SiteProNews.